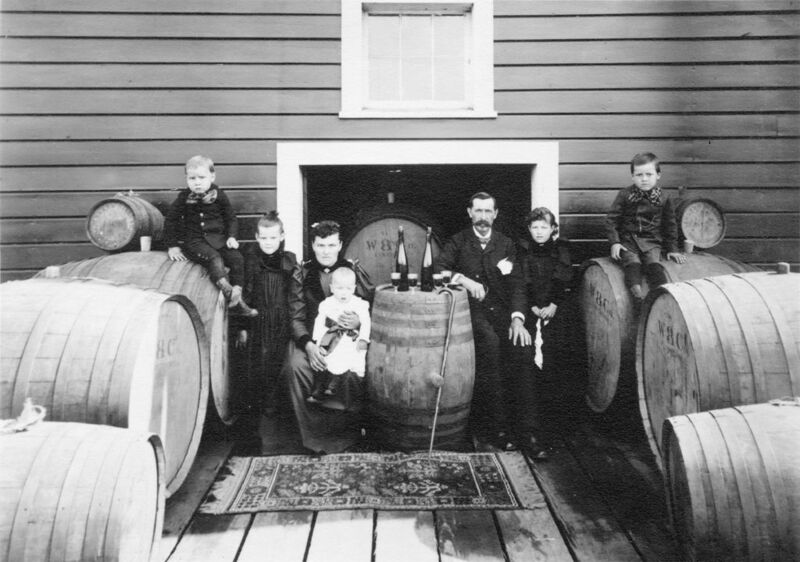 The wine pioneering Wente family in 1895 included Ernest, May, Barbara, Herman, Carl H., Carolyn, Carl F. and Frieda. Fourth-generation Eric Wente is chairman of the board of Wente Vineyards. Livermore Valley Wine Growers at the historic Cresta Blanca Winery, now Wente Vineyards. The Napa Valley got a firm footing on the international wine map when Chateâu Montelena’s 1973 Chardonnay made history as the top winning wine at the Judgment of Paris in 1976. But the ancestry of that Chardonnay traces back to another California wine grapegrowing region and to a family that has run its winery longer than any other in the United States. For the majority of that award-winning Chardonnay fruit came from the Wente clone propagated in the Livermore Valley. The Wente family roots date to 1883 when German immigrant Carl H. Wente arrived in Livermore, purchased 48 acres of vineyards and established the eponymous winery. In 1908, his son, Ernest Wente, obtained Chardonnay cuttings from the Theodore Gier Vineyard in Pleasanton, California a short distance away, and planted them at the Wente Estate. By 1912, different cuttings were added that came from the F. Richter Nursery in Montpellier, France. During the Prohibition era, the Wente family stayed in business by making white wine for Napa Valley’s Beaulieu Winery, which then sold it as sacramental wine. After the repeal of Prohibition in 1933, the advent of varietal labeling increased the demand for Chardonnay. This need to expand the plantings led Ernest to start selecting vines with the best physiology and flavors to be replicated. Over the next 30 years, this selection process created such a signature intensity that the estate’s cuttings were highly desired by numerous top wineries. Both the original Wente clone and a heat-treated version were certified by the Foundation Plant Material Services at UC Davis as Wente Clone 2 ‘A’ and Clone 4 respectively. The valley where these clones first thrived has a rich wine history dating to 1840s when Robert Livermore planted the first commercial vineyard. Soon pioneers such as C.H. Wente, James Concannon and Charles Wetmore followed, establishing their own wineries by the early 1880s. Wetmore’s Cresta Blanca Winery’s dry white wine (1884 vintage) put California on the international wine map, winning America’s first gold medal at the 1889 Paris Exposition. The Wente and Wetmore family history is so intertwined that it was only appropriate the Wentes rescued the historic Cresta Blanca winery when it went through different ownerships and then sat abandoned for several years. The Wente family acquired the 316-acre property and historic building from Schenley Distillers in 1981 and restored it with reverence. Last September, the Livermore Valley Wine Growers Foundation and the Wente Foundation for Arts Education hosted the 24th Livermore Valley Wine Auction at the historic Cresta Blanca Winery, now named Wente Vineyards. The evening’s reception and silent auction were staged in the storied building now used for events and as Wente’s barrel room. As some 300 guests were checking the auction items beneath a row of age-old foudres, large wooden vats, that lined along the walls, one even marked with the Paris Exposition logo. The Wente family, in celebrating its 135th year, is the country’s oldest, continuously operated family-owned winery, now under the ownership and management of the family’s fourth and fifth generations. “It’s a fair accomplishment, going into fifth generation,” said Christine’s father, Eric Wente on the day after the auction, seated on the winery’s terrace, with the Cresta Blanca building in the background, signaling Livermore’s pioneer position in California’s wine history. The sprawling grounds take in a scenic ranch with a fine dining restaurant, a Greg Norman-designed 18-hole championship golf course, an amphitheater, event center and tasting room. Wente’s wine production, an expansive visitor’s center and winemakers studio are all located nearby in the Valley on Tesla Road. “You have to be successful in business, do a fair amount of planning and management, and you have to get along,” Eric said. Family-owned, estate-grown and sustainably farmed is the Wente philosophy. When third -generation Karl Wente died in 1977, his three children carried on the family tradition. Currently, Eric is chairman of the board, Phillip is vice-chairman; and Carolyn, chief executive officer. The team expanded vineyard acreage in Livermore and Monterey County’s Arroyo Seco appellation and increased annual production from 500,000 cases to the current 700,000 cases. Eric’s son Karl is chief winemaker and chief operating officer. Hailed as one of the top 30 wine grapegrowers and producers in California, Wente Vineyards’ portfolio includes more than 40 different wines. These are single vineyard and estate-grown tiers of wines such as Chardonnay, Cabernet Sauvignon, Merlot, Syrah, Pinot Noir, Sauvignon Blanc and some Riesling. There are bold complex blends in the Bordeaux and Rhône styles along with and varietal bottlings of Counoise, Cabernet Franc and Petite Sirah. Among the whites I tasted, the 2017 Chardonnay from Livermore Valley was vibrant with grapefruit notes and the 2016 Riva Ranch from Arroyo Seco balanced with traces of oak and a bright acidity. Produced from three different clones, an earthy 2015 Pinot Noir from Arroyo Seco showed good tannin structure; the 2016 Sonata, a Cab/Syrah blend was layered with velvety tannins; and the 2016 Charles Wetmore, a Cabernet-driven Bordeaux style blend, proved to be a good representation of Livermore fruit—rich with dark fruit and superb tannins, a wine begging for cellar aging. The bowl-shaped Livermore Valley (20 miles east of the San Francisco Bay) is more than 20 miles long and has numerous microclimates and varied soil types. Wente’s estate vineyards are located on sloping hillsides, on ancient stony riverbeds, along fertile valley floors and at the base of steep sandstone cliffs. South and west of Livermore, the cooler Arroyo Seco appellation is more favorable for cool-climate varietals such as Pinot Noir and Chardonnay. In the 1930s, the winery received accolades for releasing the first varietally labeled Sauvignon Blanc, Semillon and Chardonnay (then known as Pinot Chardonnay). At this same time, second generation Herman Wente help found California’s Wine Institute. By late 1940s, third generation Karl Wente promoted the California wine industry as a spokesperson and expanded distribution to national and international markets. Through the 1960s, the family extended vineyard plantings from Livermore to the cooler Arroyo Seco region, opened Wente Vineyards tasting room (among the first few in California) and produced the first naturally botrytised late harvest Riesling in California. In the late 1970s, vineyard planting expanded to 3,000 acres between Livermore Valley and Monterey County. By the ‘80s, Wente Vineyards secured its reputation as one of California’s largest wine exporters, distributing in more than 70 countries. Currently, the top markets include Canada, Japan, China and the Caribbean. The ‘90s and 2000s saw further expansion. 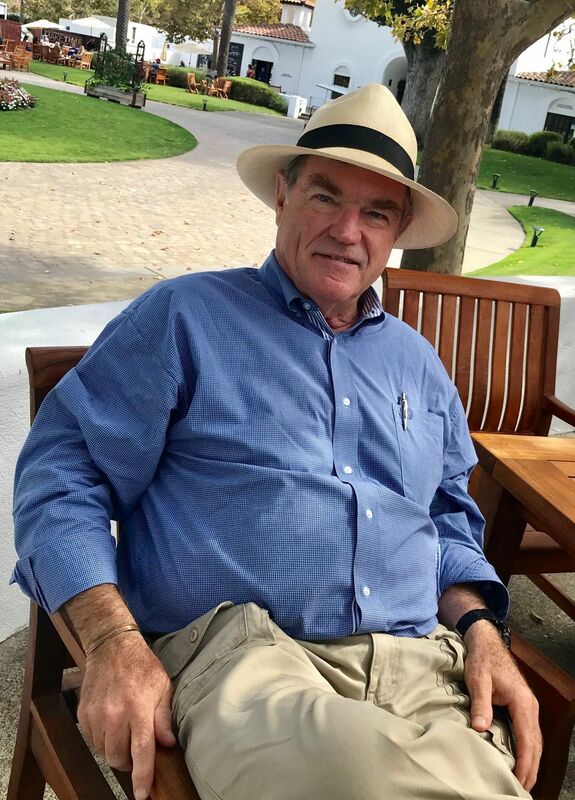 At an annual case production of 700,000, Eric still regards the Wente Vineyards operation as a medium-size winery, compared to Robert Mondavi’s 7-million-case production and E & J Gallo’s whopping 80 million. “We are large enough to be in national and international distribution but we are not a huge operation,” Eric said.